24 hours after a series of simultaneous raids on a biker gang in St. Catharines and Niagara police were showing off what they found. It includes $18-million worth of marijuana, cocaine, heroin and a stash of high powered weapons. 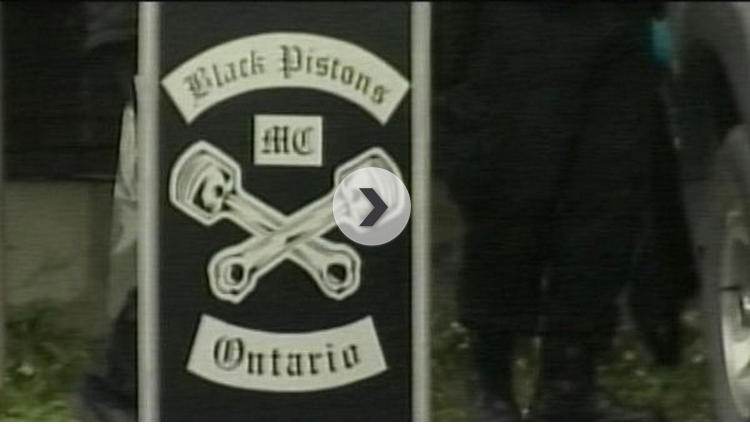 That and much more was the result of “Project Resurgence.” As Lauran Sabourin reports, it was a massive bust that took down the “Black Pistons” and “Outlaws” motorcycle gang members in St. Catharines and police say it put a dent in drug trafficking across Southern Ontario. Police say outlaw bikers are into cocaine and heroin dealing, extortion theft and prostitution. A number of years ago the Outlaws clubhouse in St. Catharines was seized and destroyed. The Hell’s Angels clubhouse in Welland was seized. Its leaders imprisoned. Now with this weeks raids and arrests, police believe they’ve squashed the Black Pistons, and ultimately the outlaws attempts, to gain a foothold in the region.